Valentine’s Day may be over, but it’s never too late to bake up a treat or two for your loved ones. 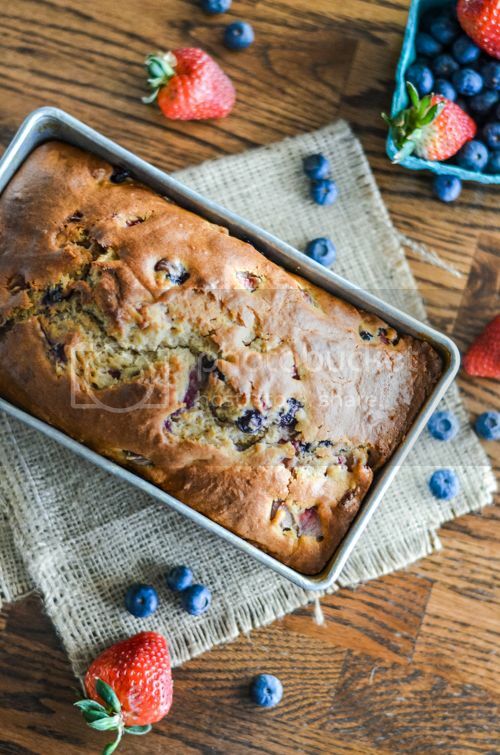 While I adore a good protein-packed cup of yogurt in the morning, I love even more when I get to add it to baked goods. With Stonyfield, you can make your treats even more indulgent tasting with fewer calories and good-for-you ingredients. 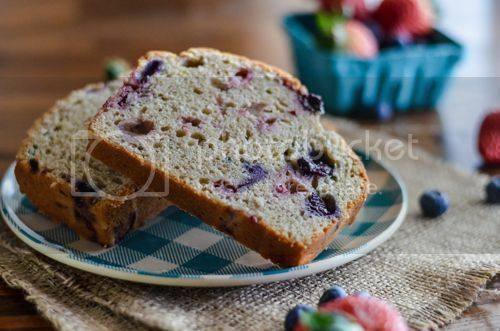 And this bread is no exception… toasted with butter or just sliced right out of the pan, it’s filled with fresh berries and warm ground cinnamon. Perfect for breakfast, an after-dinner treat or tied with a bow and gifted to a sweet friend. Bread is love, y’all. Preheat the oven to 350 degrees F. In a medium-sized bowl, whisk together the flour, baking powder, baking soda, salt and cinnamon; set aside. Using a stand mixer or hand mixer and a large bowl, mix together the butter and sugar, until light and fluffy. Beat in the eggs one at a time, until fully incorporated. Next, beat in the vanilla. Alternating between the dry mixture and the Greek yogurt, mix 1/3 of the dry ingredients into the butter and sugar mixture. Next, add 1/2 of the Greek yogurt, mixing until incorporated. Then, add another 1/3 of the dry ingredients, mixing well. Next, add in the remaining Greek yogurt, mixing until incorporated. And finally, add the remaining dry ingredients, mixing just until incorporated. 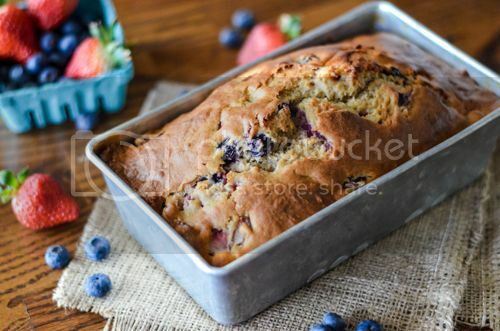 Carefully fold in the strawberries and blueberries, making sure the berries don't get smashed. Transfer the batter into a greased 9" x 5" loaf pan and bake for 60 minutes, or until golden brown and a toothpick poked into the center comes out clean. Yeah, yeah, yeah, this looks fabulous…your food always looks fabulous. 🙂 Not only drooling over the food but also drooling over the photography…at some point I have got to get it together on that…mine is always like “here’s the proof I made this,” neveryoumindabouttheawfulphotographofit. Yeah. Next post: Dress Your #DisneySide!